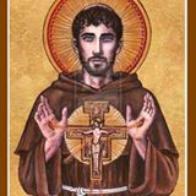 An Independent Old Catholic Faith Community of the Franciscans of Divine Merccy of Mission Saints Sergius & Bacchus an duly recognized Religious Non Profit Curch in the Commonwealth of Massachusetts. Robert Lentz and other works of art. Community of the Reformed Catholic Churcg. the Sunday Readings from the Good News of Salvation. If you desire to receive the our weekly reflections and Television send us a request. for all His children regardless of the race, creed or sexual orientation. all denominations are welcome in our ministry. Mystical Body of Christ, the Church. God desires all His children to reclaim their rightful place in the One Holy Catholic Apostolic Church. that He loves everything He has created, especially you. strength to ignore those who want to reject you and who cause you pain by their discrimination. Beverly K., Cornelia B F., Dr. Clive T., Eric S., for their generosity. We still need $2500.00 to insure we will meet all of 2019's expenses. the poor, and the production and distribution of our weekly TV show REFLECTIONS. www.missionstsergius.org which will take you to PayPal where your contribution is sent safely and securely. 830 Washington Street, Holliston, MA, 01746. 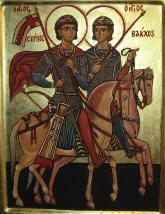 Donations to MISSION SAINTS SERGIUS &amp; BACCHUS are tax-deductible in the USA, Mexico, Spain, France and Germany.